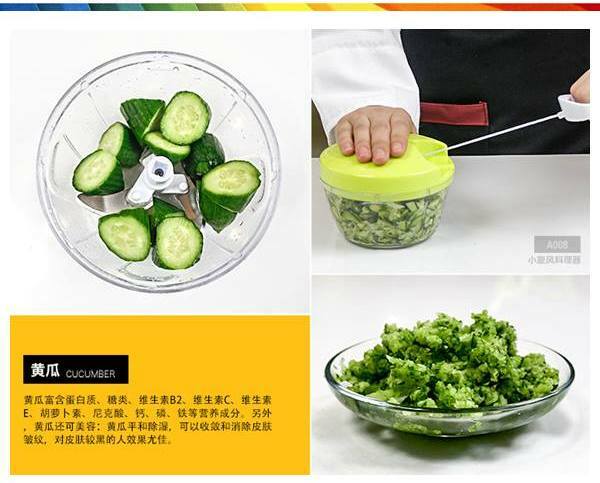 Chopping vegetables amidst morning’s rush hour can be time-consuming and tedious. 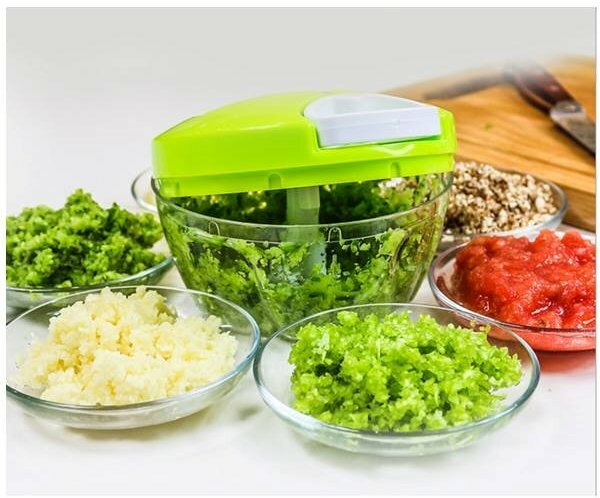 You can also make dips and chutneys in it. 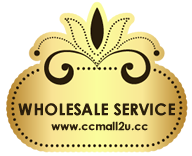 You can use this chopper not only to chop vegetables and fruits, but can be also as mincer and grinder to mince boneless meats and cottage cheese. You can quickly make chopped salads and chutneys in it. This fast and efficient chopper delivers 24 knife cuts in one pull of its string. 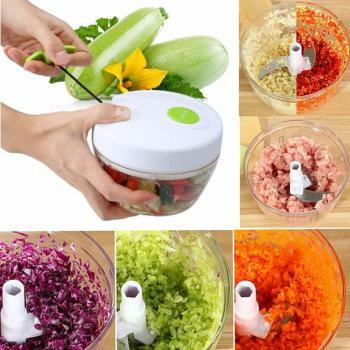 It facilitates easy and speedy chopping, mincing and whipping. ● Manual pull-out design with more convenient and safety. ● Food grade PP thickening transparent plastic, non-toxic and odor less. ● Can be use as chopper, cutter, shredde. 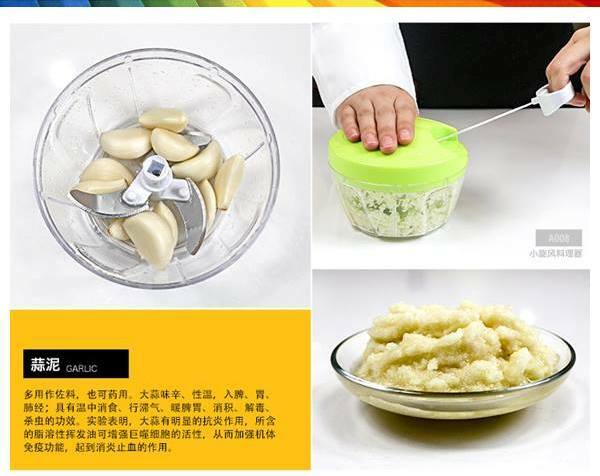 ● Can chop meat, vegetable, fruits, peanut, dried chilli, garlic, onion. ● Speedy chopper delivers 24 knife cuts in one pull of its string.